The Best ESL Programs in Orange County, California. You can follow one of the following tracks to see your English skills progress rapidly! Register for at least 4 quarters with no break. Receive a discount for pre-paying! You may repeat any ESL levels only once. NOTE: You must satisfactorily pass the ESL class in order to be eligible for the guarantee. We use the Oral Proficiency Interview by Computer (OPIc) to show your growth after completing our ESL program. Click here to learn more about what the OPIc is all about. You will be tested once at the beginning of your studies and a second time after you pass Level 5. We guarantee that you will achieve “Advanced Low (AL)” or higher the second time you take the test. If you are unable to achieve this score, you will be allowed to retake the Level 5 ESL class. Register for 1 year of classes (4 quarters with no break). Receive a discount for pre-paying! You may repeat the TOEFL class more than once, but you may not repeat any ESL levels more than once. NOTE: You must satisfactorily pass the TOEFL class in order to be eligible for the guarantee. You will be given practice TOEFL tests throughout the TOEFL class. We guarantee that you will be able to achieve a score of 80 or higher on an actual TOEFL exam. If you choose to take the TOEFL exam and are unable to achieve this score, you will be allowed to retake the TOEFL class. Language programs often put 10-15 students (or more) in each class. At AELS, we realize the value of a small class size in facilitating language learning. This is why we limit our classes to a maximum of 8 students, with the average class size being only 5-6 students per class. Learn more about why having fewer students in class can help you improve your English much faster by reading our blog post. Proven Results So You Don’t Waste Your Time! Students who finish Level 5 of our program usually score “Advanced Low (AL)” or higher on the Oral Proficiency Interview-computer (OPIc) test. Students who finish our TOEFL class usually score 80 or higher on the TOEFL exam. At American English Language School, we believe that monitoring a student's performance throughout their academic career here enables us to provide the best academic support and guidance. We value our students’ education and want to make sure that we offer them the best service that we can provide. By following our student academic progress check, teachers will know exactly how their students are doing and what they can do so that their students will improve. Teachers will assign daily listening assignments through our e-Learning website for students to practice their listening skills outside the classroom. It is extremely important for students to practice out of the classroom as well as in the classroom so we have developed audio recording of articles, biographies, and adaptations for our students to listen to. Listening to a native speaker’s voice allows the students to study pronunciation of words as well as improve their listening skills. After the students listen to the recording, they will be asked to answer five to ten multiple choice questions about what they listened to. These questions allow our students to truly know if they understand what they are listening to. AELS teachers will go over the listening in class during the first hour of the day with their students to help clarify any questions they have about the listening and how to improve for the next assignment. American English Language School wants our students to be serious about their English learning. That is why we ask our students to read English books, one a week, and answer reading comprehension and vocabulary questions on the book for homework. Not only will students be practicing their comprehension skills, they also will be learning the culture of America as well. Students will be assigned one book a week, given homework, and will go over the book and homework during the next week. On Mondays, students will discuss their reading homework and the book while on Wednesdays they will discuss the vocabulary of book. All levels will be assigned specific books based on their reading levels. Every week, our ESL students will write on various prompts during class using our online writing program. Every Tuesday, ESL students will write on one prompt assigned using our writing program as homework. Our teachers will grade and correct the writing after they turn in the assignments. Students can see the edits in their online student account with colorful and helpful corrections. Every Thursdays, students will also peer-edit their writing so that they can practice their speaking, editing skills, and grammar. Every week, our ESL students take a unit test on Fridays based on the lessons that they learn in class. Our teacher will grade the tests and then spend some time on Monday going over the test for problems that students encountered on the test or how they can improve on the next test. This enables students to understand why they got their answers wrong and what the correct answers were. This helps students realize what they are struggling and how they can fix it early so they can excel in the class. At American English Language School, we understand that our students want to be the best they can be which is why we have included assignments into our curriculum. Our weekly portfolio assignments included a writing assignment, a listening activity, and an activity project. Our writing assignments are based on our supplementary curriculum in which students have to write essays based on prompts from the unit lessons and grammar lessons. Our teachers will grade these assignments including comments on how they can improve for the next assignment. We also have a weekly listening activity based on the unit’s listening we go over in class where students will listen and fill in the blanks into a transcript of the listening. They do this in order to further test our students on the listening they have done in class. Students are also assigned weekly activity projects every Friday where they are asked to present on a topic from the unit every Monday during the first hour of class. This helps with their speaking and making sure that they understand every aspect of the unit from the week before. All of these projects allow our students to practice their English and allow our teachers to see their weekly progress. Teachers also write individualized comments every Friday based on their participation in class and their weekly assignments and tests. Teachers will comment on how the students are doing and what they can do to improve. American English Language School only hires the best teachers in order to help our students achieve their individual goals and receive the quality education that they deserve. We know that it’s a huge investment on your part so we want to make sure that we provide an education that ensures your investment. We do this by hiring the best teachers and checking their performance diligently throughout the quarter. We will make sure that our teachers go beyond your expectations so you don’t waste your time and money. Each teacher will be observed once per month for a total of 3 observations per quarter. Two of the observations will be unplanned and one observation will be planned. The unplanned observation is when the Assistant Director of Faculty views the class without the teacher knowing ahead of time. The last observation of the quarter will be planned in order for the teacher to make up for any mistakes that they made during the previous observations. The planned observation will show if the teacher is capable of learning from their mistakes and taking advice from their superiors. The observation form will be used each time. For any items that are not observable in that class (i.e. Assistant Director of Faculty didn’t stay long enough to see it that day, that doesn’t happen in that type of class, etc. ), the item will not be scored and will not count towards that evaluation. Every week, our ESL students do a variety of activities based on lessons from the unit they learn in class. These assignments include a weekly reading assignment where they will read a book and do homework outside of class and will come to class to discuss the book and go over the vocabulary words from the book. The students will also do their portfolio assignments in class which includes a listening activity, writing activity, and an activity project. They will also be asked to do a writing assignment and edit it with their peers using our online writing program that discusses topics outside of the unit they are learning. In addition, students are also assigned a daily listening assignment where they have to answer questions based on what they listened to. Lastly, students will have weekly unit tests on Fridays based on the unit they learned that week. All of these assignments and tests are considered the weekly student performance and will affect 30% of the teacher’s evaluation grade. Each quarter, students will be asked to fill out a Student Opinion Questionnaire (S.O.Q) that asks them to agree or disagree with a series of statements about their teacher and the education they are receiving at AELS. The S.O.Q also includes a number of short-response questions for which students can provide specific feedback. Periodically throughout the quarter, the Assistant Director of Faculty will be checking certain aspects of a teacher’s performance. These can include punctuality, daily comments, student performance, student complaints, etc. Each time an item is checked, a “grade” will be recorded for the teacher’s performance in that area. At the end of the quarter, the Assistant Director of Faculty will be able to review the grades given to the teacher for each intangible item along with the date each grade was given. A score will be determined from that. 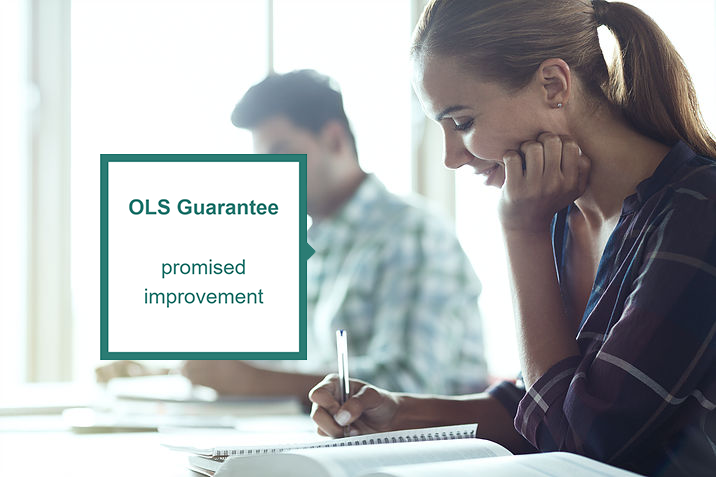 Have you ever wondered why AELS requires you to sign up for quarters instead months? We have good reason for this. Through our research and reflection on our program, we learned that students who are only in class together for a month tend to spend a good portion of the first and second week being shy and hesitant to speak or participate in class. They are still getting used to each other half way through the month, which means they are only making real progress for approximately 2 weeks before they are off to a new class group and new students with whom to repeat the process. We wanted to make this getting-to-know-you process faster and more meaningful. There are two ways in which we achieved this goal. The first is that we decreased the number of students in class in order to speed the process up. Everyone will get used to talking and participating in class much more quickly and comfortably. In addition, we decided to extend the courses to take place over 12 weeks, instead of breaking them down into three 4-week courses. While students in month-long classes may take 2 weeks acclimating and 2 weeks making real progress each month, students in our quarterly courses will take only about 1 week acclimating and will make 11 weeks of real progress. We also found another benefit to our quarterly system: people are less likely to take breaks that often derail their success. On the monthly system, students know they will only be missing a couple of weeks of real progress. However, when they know they will be missing far more material and will not be able to enroll in another class for 12 weeks, they realize how much progress they will lose and how likely they are to regress after that much time without practice. For that reason, students are far more likely to stay focused on their studies than they would be if they were enrolling in a monthly program. Rolling enrollment is the process of enrolling students at any time during the year, regardless of when the current quarter began. It is our policy to have NO rolling enrollment. There are two main reasons why we do not allow rolling enrollment. The first reason is that beginning your studies part of the way through the quarter means you will have missed the information from the previous weeks and will be lacking in those skills. It is difficult to continue on without going over that information, but it isn’t fair to repeat it all in class when other classmates have already learned it. The second reason why we don’t allow rolling enrollment is because we want our students to feel comfortable speaking in class, which can be hard if classmates keep changing or a new person comes in after everyone else has become comfortable conversing with each other. The first few days of a new class is always a period of getting to know each other. The teacher needs to become familiar with students, and students need to become familiar with each other in order to have open communication and speaking practice in class. The first week finishes with students beginning to work on some of the base concepts you will need over the next 12 weeks of the course. You can understand how missing even just this first week of class can put you behind and cause you to struggle with both the material and the expectation of frequent conversation in class. Many language schools have rolling enrollment, meaning that you can begin taking class at any point. American English Language School , on the other hand, sets itself apart by not allowing students to enter a class after the start of a quarter. We created this policy because we believe it benefits ALL students, those already enrolled and those who wish to enroll. Imagine also how this can affect students who were there from the first day of class and have already completed these introductory activities. In order to get one new student caught up, up to 7 others will need to repeat information they have already learned. This can be extremely tiresome and cause unnecessary delays in learning new material. Teachers suffer from rolling enrollment, too. The teacher always feels a certain amount of responsibility for “filling in the gaps,” or re-teaching skills and concepts to the new student so he or she won’t fall further behind or feel left out. For all of these reasons, AELS does not allow rolling enrollment. Many other language programs make conditional acceptance agreements that will allow their students direct acceptance into a college upon completion of the language school’s ESL program. While students often look for these kinds of agreements because they do not want to face the TOEFL score requirements of the colleges they want to attend, conditional acceptance agreements usually become a sort of crutch that allows ESL students to slack off in their studies and set their goals far lower than what they are actually capable of. This means they are often unprepared for the rigor that will be expected of them in a college program. At AELS, we focus on preparing our students to succeed in pursuing the TOEFL score they need instead of relying on conditional acceptance. Many programs attempt to form partnerships with colleges that will allow their program graduates automatic acceptance into those colleges without a minimum TOEFL score requirement. However, AELS really wants to encourage students to strive for more in their language education. We created our program to have higher expectations for students at each level so that they finish with a higher proficiency level than they might in other programs that allow students to move through the levels with much lower expectations. This causes a false sense of proficiency and makes students scared to take the TOEFL. Although it is true that the TOEFL takes some special preparation beyond what our ESL program can provide, graduates of our program will already be well on their way towards that goal and will have a very strong language foundation. We are currently working on creating a TOEFL class to follow our ESL program and get students fully prepared to take the TOEFL and meet the minimum score requirement for many colleges in the area. While conditional acceptance programs do allow students to relax a bit, it also means they will not push themselves as hard and that their college choices will be very limited. Through the years, we have received many inquiries as to why we don't offer night classes here at American English Language School. The reasons are simple but not always obvious to students. These students often get sucked into what seems like a great deal: hugely discounted classes offered in the evening hours, which leaves you time to accomplish other tasks during the day. However, the reality is that you truly are getting what you pay for in this case. Imagine that you sign up for night class at another school. You show up for the first night of class to find that you have been packed in with 20-30 other students in the classroom, perhaps even up to 40 others. Maybe you let it go because you are excited to learn English and you plan to make many opportunities for yourself to practice, even if the class is so big that you don't always get a chance to try speaking. As the weeks go on, fewer and fewer people show up to class because although they have good intentions of going to class each night, other things come up during the day that take all of their energy or throw off their schedules, causing them to be late or absent altogether. This means you are now losing some of the partners that you were getting speaking practice with before. The teacher often seems very tired during class because he or she likely has another job during the day and is already tired by the time the night class begins. This starts to affect the quality of language education you are receiving. None of this sounds like the great deal you thought you were getting. In fact, it is starting to sound more like a burden and a waste of your time. However, although these realities are part of the reason AELS has chosen not to offer night classes, they are not the main driving factor in our decision. Instead, our main motivation for only offering daytime classes comes from the fact that F-1 students are here to do one thing: study English. Those who choose night classes are choosing to distract themselves with other priorities during the day and pushing off their main priority of studying to night time, when they are already tired and their brains are no longer function at full capacity. It is understandable for students to want to visit some of the local points of attraction, such as the beach, popular shopping malls, or amusement parks. However, if we begin offering night classes and allow your academic pursuits to become secondary to your cultural and entertainment pursuits, you will have lost your focus and are not likely to achieve your language goals with us. This is not an outcome AELS is willing to accept. Therefore, we do not offer night school here because we want to provide the highest quality education we can, and we will make sure you stay focused on improving your English! We recognize both the financial commitment and the time commitment you are making when you register to study English as a second language here at AELS. We respect that you’ve decided to make English a priority in your life. With American English Language School, your English language education begins even before you step through our door for your first class. This is possible because of our FREE e-Learning course that is made available to all of our new international students before they come to the U.S. to study. This 20-day (4 weeks) online learning course provides students with exposure to, and practice with, some common terms, verb phrases, and idioms they can expect to hear and use in America. Each day will be a new lesson, and Fridays will include a quiz on what you’ve learned that week. The course finishes with a comprehensive quiz covering material from all 4 weeks. You will become accustomed to some common sentence structures as you read through examples of each of these terms and phrases being used in sentences. This will set you up for success in your classes with us as you become more focused and serious about learning the language, and you may even be able to begin studying in a higher level class after taking the e-Learning class (based on your score on our placement test)! To give you an extra incentive to make this preparation a priority, we offer FREE textbooks for the first quarter to anyone with an average score of 90% or higher on their e-Learning quizzes! *Please click here for Free E-Learning Prep Course Procedures. Once you send in your application documents, you should receive an email regarding your admission status usually within 1-2 days. We guarantee that you will receive your I-20 form in the mail within one week from the day that you receive your acceptance email from AELS. For your convenience we will provide you with the UPS (United Parcel Service) tracking number. You will be able to track your I-20 form from the moment we send it. Please use the UPS tracking website to track your I-20 form here. *If you do not receive it within one week, we will refund your mailing fee $100. Teachers are an incredibly integral part of our program and our students’ success. So, it only makes sense that we would want to choose upstanding teachers who can create a safe space for our students. All of the teachers at AELS have been screened and fingerprinted. The safety of our students is one of our main concerns when hiring new teachers. It is important to us that we choose the best candidates who are going to actively work together to make this a comfortable, safe space for our students at all times. Before being hired, all of our prospective teachers get fingerprinted and obtain clearance from the California Department of Justice (DOJ) and the Federal Bureau of Investigation (FBI). We require that our teachers conduct their fingerprinting as part of the LiveScan process, which allows us to also request a background check from the DOJ that will inform us of any active arrests or convictions. Through this process, we are able to protect our students, our staff, and our administration from unnecessary danger and instead focus on goal of providing students with a great education! Really low tuition is usually an indicator that the quality of the program will also be really low. High tuition can mean that the school focuses more on profit than on their students’ education. At AELS, we make sure our students are getting the best value they can by providing them with high-quality teachers and smaller class sizes for less than you would expect to pay in a college ESL program. There are so many different options for language learning programs, and with that number come just as many different tuition values. Remember that old saying, “You get what you pay for”? Let’s look at what that means when it comes to language learning programs and how it makes American English Language School your best choice. There are essentially three different tiers that programs can be sorted into: high-end, mid-level, and low-end. With high-end programs (such as Kaplan, EF, or ELS Language Centers), you are paying a high price because of the brand name recognition. To some people, having others recognize the school they studied at is just as important as the quality of education they received. At schools like these, you can expect to pay an average of around $1,500-$2,000 a month and have approximately 12-15 students in class. Then there are the mid-level schools with less brand name recognition but good quality and variable prices that range from around $1,000 to $1,500 a month. This is the category in which American English Language School falls. Though there are many other schools in this same category, there is one major difference: the average number of students in class at other mid-level schools will often still be 12-15, whereas we cap our classes at 8 students max (and many of our students choose to sign up for our popular 4-student classes). This means that AELS is a prime opportunity within this mid-level tuition category to get a personalized, high-quality language learning experience. Finally, there are the low-end schools, which tend to serve a specific purpose of just allowing students on F-1 visas to maintain their status for a cheap tuition of only $500-$600 a month. These classes will pile 10-15 students in each class with little concern over attendance, participation, or progress. The goal is simply to maintain status and maybe learn something along the way. These schools often provide even cheaper rates if you sign up for night classes. You can expect the quality of the education program to match their lack of interest in your individual educational needs. Although you can see a huge difference in tuition between the high-end and low-end schools (from $500-$2,000 a month! ), it is important to note that those fees are so often determined by the school’s goal: do they care about how much progress you make? Or, is there something else more important to them that is factoring into their monthly tuition rates? Consider this as you make the decision about which program is right for you and your needs! Despite the false advertising used by some schools, there are NO SHORTCUTS to learning English. There are NO GIMMICKS that can make you learn English overnight. It takes hard work, commitment, and dedication to a program to really improve your English. We expect our students to take learning English seriously. American English Language School upholds the highest classroom standards to ensure the best learning environment. There are many students who enroll in a language program solely to keep their F-1 visa status. Those who desire nothing more than that are not a good fit for our program. Students are to maintain high grades and regular attendance, not just for themselves but also for every one of our students who expect nothing but the best. Those students holding an F-1 visa are required to maintain full time status, which is defined as attending class at least 18 hours a week. Our program requires that students attend class for 20 hours a week. Any student who falls below an 90% attendance rate will be warned. If the issue persists, the student’s I-20 may be terminated. After being enrolled for 3 consecutive quarters, you will be eligible to take a break for 1 quarter (3 months). Missing a quarter for vacation before you are eligible, or extending your vacation longer than 1 quarter, will put you out of status and jeopardize your I-20. WHAT IS THE ORAL PROFICIENCY INTERVIEW-COMPUTER (OPIc)? The success of the ACTFL OPI has resulted in increased worldwide demand for valid and reliable testing of oral language proficiency. More and more schools and universities use the interview as an instrument of assessment. More and more commercial enterprises, international organizations, and government agencies recognize the usefulness of the OPI as a reliable tool to determine the linguistic functional capabilities of their personnel. The Oral Proficiency Interview-computer (OPIc) was developed as a computerized tool to deliver and score valid and reliable oral proficiency testing on a large scale. The computer delivered assessment emulates the qualities of the OPI, but handles the delivery of the questions by a carefully designed computer program. An ACTFL OPIc is assigned one of the following ratings: Superior, Advanced High, Advanced Mid, Advanced Low, Intermediate High, Intermediate Mid, Intermediate Low, Novice High, Novice Mid, or Novice Low. The recording of their responses is made available via the Internet to Certified OPIc Raters and is evaluated by raters within a short period of time. Because of the availability of access to the test, speakers can take an OPIc easily, anywhere in the world. WHAT IS THE ORAL PROFICIENCY INTERVIEW? The ACTFL Oral Proficiency Interview (OPI) is a valid and reliable testing method that measures how well a person speaks a language. It uses a standardized procedure for the global assessment of functional speaking ability, i.e., it measures language production holistically by determining patterns of strengths and weaknesses. The ACTFL OPI assesses the Interpersonal mode of communication (two-way communication) as described in the Standards for Foreign Language Learning. The OPI assesses language proficiency in terms of a speaker’s ability to use the language effectively and appropriately in real-life situations. It does not address when, where, why, or the way in which a speaker has acquired his/her language. The OPI is not an achievement test assessing a speaker’s acquisition of specific aspects of course and curriculum content, nor is it tied to any specific method of instruction. The OPI does not compare one individual’s performance to others, but each individual performance to the assessment criteria. TOEFL stands for Test of English as a Foreign Language. This test is meant to measure the level of academic English proficiency for students who plan to enroll in English-speaking colleges. TOEFL scores are useful in over 130 countries where you may be asked by over 10,000 colleges, agencies, and other institutions to submit scores in order to secure enrollment or employment. You can expect the test to take approximately 4 hours and assess your skills in the areas of reading, listening, speaking, and writing. You can receive up to 30 points for each section. A perfect score would add up to 120. Many community colleges, vocational/trade schools, and other 2-year programs require a score of 80 or above. More elite colleges and programs may require a score of 100. Scores can be automatically submitted to colleges of your choice and will be valid for up to 2 years. The placement test at AELS takes approximately 3–4 hours to complete and costs $100. If you decide to enroll after taking the placement test, your placement test fee will be credited towards your tuition. The ESL program at AELS consists of 6 levels, from Basic to Level 5. The final goal of the ESL program is to be able to communicate comfortably in all areas of English, including speaking, listening, reading, and writing. Students will improve grammar and conversational skills. Students take a placement test to determine which level they will start the course at, with each level taking 3 months to complete. At the end of each level, you will need to take the level test again to see how you've progressed in speaking, listening, and reading. If you have passed satisfactorily, you will move on to the next level. Once you have completed the highest level (Level 5), you will receive a certificate of completion proving that you have completed the ESL program at AELS. AELS conducts reading and writing activities at each level. Students will become more familiar with English sentence structure and will be able to read easily and expand their vocabulary through the level-appropriate reading passages. The writing activities will allow you to write your own sentences starting with simple sentences and progressing to formatted essays. In addition, you will learn many English idioms through this process and will be able to use complex grammar rules, which will help you to speak English accurately and more naturally. 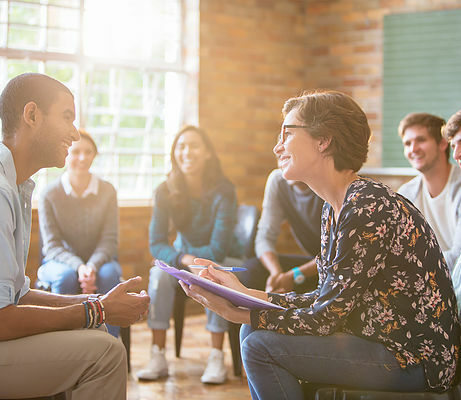 AELS offers a variety of thematic and contextual conversation activities to practice speaking and listening skills that are used in real life. All classes focus on conversation between instructors and students. Instructors maximize learning efficiency by giving prompt feedback through constant dialogue with the students and correction of pronunciation and word choice. Through this process, students will practice speaking confidently and gain more listening practice through constant conversation. This is only possible with a small number of students in class, something that AELS is proud to offer. Basic Goal: Students will begin to communicate basic needs in a variety of real life/survival situations. Level 1 Goal: Students will begin to develop the necessary language competence needed to successfully function in survival and social environments. Level 2 Goal: Students will achieve the necessary language competence needed to successfully function in survival and social environments. Level 3 Goal: Students will begin to develop competence to live and work effectively in the U.S.
Level 4 Goal: Students will develop competence to live and work in the U.S. with some difficulty in order to function in most common environments. Level 5 Goal: Students will develop competence to live and work in the U.S. with sufficient proficiency in order to function in most common environments. The 8:1 class is for students who want a lower tuition cost but do not want to miss out on the style and efficiency of learning English in a class of limited size. The ESL program offered in our 8:1 allows students to focus on conversational English, which is still much more efficient than classes in other schools, although it is less intensive than the 4:1 class. Our TOEFL program is a 12-week intensive course that reviews the structure of the test, all four skill areas (reading, listening, speaking, and writing), and useful techniques to help you achieve your desired score. We work on one skill area each day Mondays-Thursdays and finish the week with a practice exam that includes all four skill areas on Fridays. Students will need to either complete Level 5 of our ESL program or prove sufficient English skill by taking our placement test and scoring at or above the score our Level 5 students are expected to achieve by the end of the program. At the end of the 12-week TOEFL class, students will be prepared to take the TOEFL exam. This course may be repeated. Students will practice critical vocabulary that they will need in order to read the sample passages. They will also identify context clues that could help them understand unfamiliar words within the text. They will answer sample comprehension questions and discuss techniques that will help them understand and manage their time. After exploring the set structure and expectation for each of the listening clip types, students will learn note-taking techniques and response frames that will help them focus in on key details. Similarly to the listening section, the speaking questions also make use of defined structures and expectations for each of 6 speaking questions. Again, students will practice efficient note-taking skills and response frames that will allow them to focus on key details and formulate appropriate speaking responses. Students will also record their own responses to sample speaking questions in order to analyze where they are struggling and make an individualized plan for how they can improve. Students will work on writing responses to a large variety of prompts similar to those that might be used on the exam. This will help students become comfortable with the structure, grammar, and vocabulary they will be expected to use. We will focus on organization of ideas and formulating complete responses, as well. To improve your grammar and writing skills, you can write a daily journal entry in English and 1:1 proofreading and feedback will be given. It is the most efficient program to improve intensive composition skills in a short period of time. Every week or every other week (depending on reading level), you will read a book from AELS's program, write your comments on given questions, and present and discuss the book through a book club meeting. This work will increase your ability to understand English texts and to organize and express your thoughts in English. TED Talks are video lectures, based on a wide variety of interesting topics, in which people from all walks of life share their knowledge and experience through a short lecture. These videos are shared online for free. At AELS, we organize discussions of these lectures to provide detailed explanations to help students understand and communicate about them. Through these discussions, students can improve their listening skills, increase their vocabulary, and develop their speaking skills to a higher level. This class option offers a one-to-one ratio between the student and instructor. If you are interested in this type of class, please ask for more details. "We have a lot of opportunities to speak English." It is a time when we branch out from our normal classroom routine and learn about American culture in unique ways. One of our favorite parts of Culture Week is the day that we invite a guest speaker to come and present to the whole school. This is a fun experience because, while students love our wonderful teachers, they don’t often get to interact with Americans who have other professions. On guest speaker day students get to meet a lawyer, doctor, business person, librarian, physical therapist, etc. and learn about his/her life experiences. Our guest speakers are always friendly, professional people who have inspiring stories and valuable knowledge to share with students. We have a different guest speaker every quarter, so students who stay at AELS for a long time have many opportunities to meet different professionals throughout the year. Culture Week is an important part of each quarter. While you will take tests throughout the quarter on what you have been learning, Culture Week is the real-life test at the end of the quarter to see if you can function in normal everyday situations outside of the classroom. You will gain authentic speaking and listening experience through a discussion of American media and pop culture as well as personal experience garnered from guided field trips, all with the same small-group ratio that is enjoyed in class. Some past field trips have included live performances at local theaters as well as visits to the Brea Community Center, the Richard Nixon Library, California State University (Fullerton), and the Orange County Fair. The ESL program at AELS includes English conversation (speaking and listening), writing and grammar, and reading. It consists of 4 hours a day, Monday to Friday, to make up 20 hours a week. There are a total of 240 hours of class per quarter, and all courses at AELS are conducted on a quarterly basis. Classes begin on the first Monday of each quarter (January, April, July, and October). Admission and enrollment must be completed no later than 4 weeks before the start of the quarter. Classes begin on the first Monday of each quarter (January, April, July, and October).